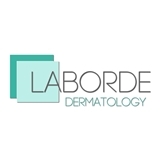 Laborde Dermatology, P.A. (Houston) - Book Appointment Online! Laborde Dermatology is a comprehensive Dermatology practice located in the Uptown/Galleria area of Houston, Texas that specializes in Laser and Cosmetic Dermatology. The practice utilizes the most advanced technologies combined with detailed attention to patient care. The practice is under the direction of Stephen Van Laborde. M.D. who is board certified by the American Board of Dermatology and fellowship trained in Laser Surgery, Cosmetic Dermatology, and Dermatologic Surgery. Dr. Laborde was selected for inclusion in Texas Super Doctors in Texas Monthly magazine and has been recognized as a Top Doc by H Texas magazine of Houston. Dr. Laborde's practice offers Botox® and Dysport® for the treatment of facial wrinkles and excessive sweating, filling agents such as Juvederm®,Voluma®, Restylane® and Perlane® for wrinkle correction and lip augmentation, Kybella® and more. Quick, efficient, knowledgeable, complete issue resolved.